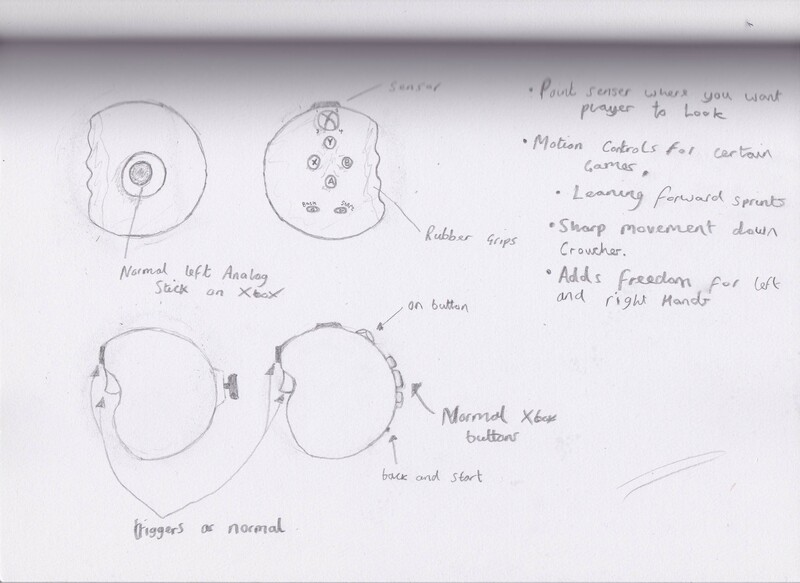 Controller that a tablet or mobile device can be put in, adjustable so different devices can use it. Xbox or PS3 controller which instead of analog sticks and buttons has touch pads in the same places. 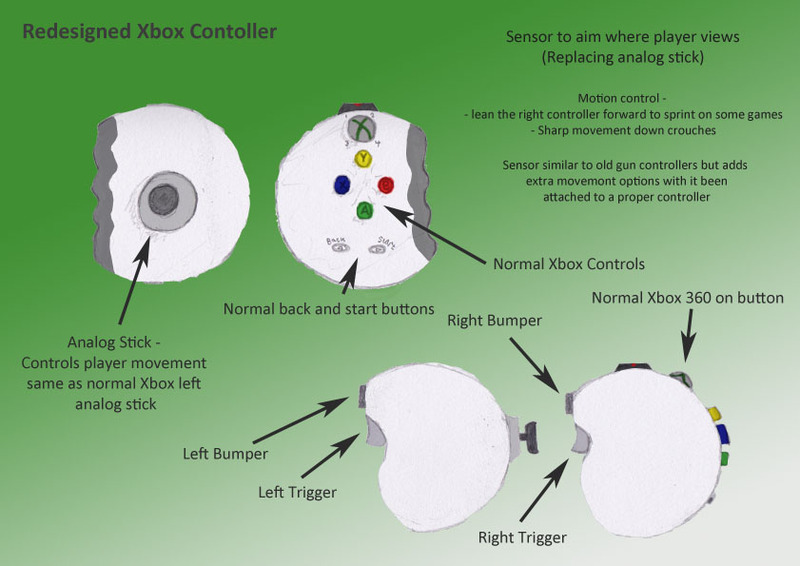 An Xbox controller with two separate parts and has motion control.